At the center of this pivot has been the Trans-Pacific Partnership (TPP), an enigmatic trade pact that has been hailed as a true “21st century agreement.” In negotiation since 2008, the TPP would link the United States with Australia, Brunei, Chile, Malaysia, New Zealand, Peru, Singapore, and Vietnam (the TPP-9) across a variety of economic platforms. Mexico, Canada, and Japan are all looking to join the agreement (the TPP-12), which would make the TPP the largest trade bloc in the world, encompassing some 700 million people and about $26 trillion USD in various forms of economic activity. But, for the most part, the member countries have conducted negotiations for the TTP under the mantle of utmost secrecy. The true scope of the agreement has only become apparent due to a few leaked texts and sporadic reports from the signatory countries. Evidently, trade is only the beginning of the TPP’s jurisdiction as it also contains chapters on customs, cross-border services, telecommunications, government procurement, competition policy, cooperation and capacity building, investment, financial services, environmental regulations, and intellectual property rights. The very breadth of the agreement would require the rewriting of numerous domestic laws in every signatory country, threaten the sovereignty and autonomy of domestic legal systems, enable environmental degradation by transnational corporations, impose harsh patent regulations, and severely limit access to information across the globe. However, the most significant issue regarding the TPP is the very lack of transparency. Hailed as a new century trade agreement, the lack of information made available to the public, including the U.S. Congress, hardly embraces the realities of the twenty-first century. Ultimately, it is evident that the TPP has the power to transform the global economy and the Pacific community alike, with serious ramifications, both positive and negative, throughout the region. Although the initial goal of the TPP was the promotion of free trade, only 2 out of 26 chapters concern this subject. The countries involved stand to benefit from lower prices resulting from fewer barriers to trade, but damage to the livelihoods of many workers appears to be inevitable. In 2011, the TPP-9 generated a GDP of $17.8 trillion USD, with the United States contributing 85 percent of this figure. Approximately 5 percent of U.S. trade flows are to its fellow TPP-9 countries; in 2011, U.S. exports totaled $105 billion USD to these countries while imports reached $91 billion USD. The addition of Japan, Mexico, and Canada would bring both the combined GDP to $26.6 trillion USD and the TPP’s share of U.S. trade flows to 40 percent. The TPP in its current form is estimated to augment the U.S. economy by $5 billion USD by 2015 and $14 billion USD by 2025, but this figure would drastically increase under the potential TPP-12. These fiscal benefits would be far less for the U.S. than for other of its partners as Washington already has signed free trade agreements with Australia, Canada, Chile, Malaysia, Mexico, Peru, and Singapore. Nevertheless, the U.S. hopes that this agreement will help it pivot its focus toward Asia politically by means of this regional forum, as well as economically by tapping East Asia’s increasing large disposable income. Agriculture primarily drives regional trade and governmental control over domestic agricultural sectors will be significantly impacted by the TPP. Canada, in particular, is concerned about the mandate that would force Ottawa to alter its supply management policy that presently protects approximately 15,000 dairy and egg farmers. This action would effectively neutralize the industry on the world market because they would not be able to compete against cheaper goods coming from Australia and New Zealand. The OECD estimates that Canadians spend an additional $3 billion USD on food products annually as a result of Canada’s supply management policies. 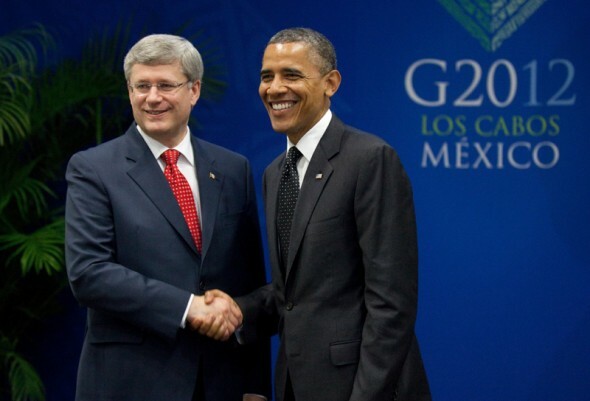 Despite these concerns, Canadian Prime Minister Steven Harper reiterated his eagerness to join negotiations at the June G20 summit in Los Cabos, declaring, “This is a further example of our determination to diversify our exports and to create jobs, growth and long-term prosperity for Canadian families,” especially because Canada lacks FTAs with East Asian countries. Canada’s dairy supply management program is only one a number of policies practiced throughout the region that would detract from the benefits of free trade and manipulate the agreement to benefit domestic interests. Nevertheless, there is no question that the TPP as it now stands would benefit regional trade. 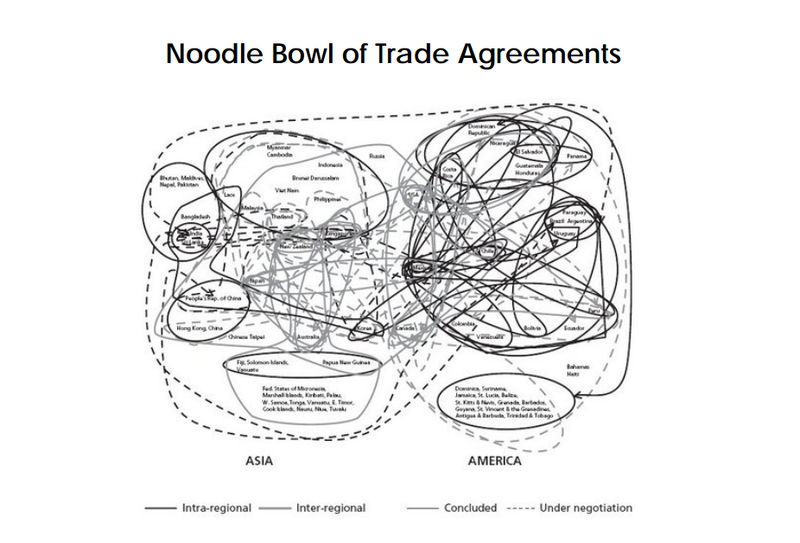 As Laura Dawson, an expert on Canadian trade relations explained, the number of regional alliances and FTAs complicates transactions and creates a “noodle bowl” of international trade, one that increases the cost of exportation by an average of 5 percent. Consolidating the restrictions and regulations under one agreement would help cut down these costs, hopefully inducing further economic integration. With billions of dollars in potential gains, this integration is what truly generates interest in specific countries and points to what could be the most salient benefit from the TPP. The major concerns regarding the TPP surround the dearth of transparency provided by signatory countries. At the beginning of the negotiations, the United States Trade Representative (USTR) issued a statement declaring that the TPP is an “ambitious, next-generation, Asia-Pacific trade agreement that reflects U.S. priorities and values.” President Obama’s own endorsement stated that the TPP will “boost our economies, lowering barriers to trade and creating more jobs for our people.” But beyond these vague declarations, no one outside of the negotiators’ inner circles has been allocated detailed information regarding the treaty. Indeed, the public probably knows more about the defense budget and the aggregate deployment of U.S. nuclear warheads than it does about the U.S. position on the TPP. Clearly, these closed-door negotiations do not resemble the White House’s vision of the TPP as a “21st century trade agreement.” Alarmingly, the President noted that the TPP was supposed to become “a high-level trade agreement that could potentially be a model, not just for countries in the Pacific region, but the world in general.” However, the Obama Administration is not embracing the realities of the modern informative network, setting a detrimental precedence for such an important agreement. The USTR claims that this has been the most transparent FTA to date. Yet the USTR also argues that the TPP is not simply an FTA, but rather an international agreement in which trade is only one element involved in the negotiations. In this respect, the TPP has not lived up to the precedent set in such negotiations as the FTAA or in organizations such as the Asian Pacific Economic Community (APEC). Indeed, beyond any substantive concerns regarding the text of the TPP, the lack of transparency might be the most troubling aspect of the proposed pact. In a 2008 campaign speech, President Obama promised: “We will not negotiate trade agreements that stop the government from protecting the environment, food safety, or the health of its citizens; or give greater rights to foreign investors than to U.S. investors.” Almost every provision promised in this speech has been violated by the TPP proposal, primarily in the recently leaked investment chapter. This chapter has become particularly contentious even within the sealed negotiations with Australia refusing to sign the provision. Using a broad definition of investment, provisions contained in the chapter will enact international laws that will protect anything from existing investments by domestic firms in foreign countries to shares and derivatives, public-private partnerships, mining and manufacturing licensing and permits, as well as expected future profits of other TPP investors. Therefore, the chapter defines investment far beyond the traditional bounds of real property. The investment chapter threatens the national sovereignty of signatory nations due to the creation of an arbitrary international tribunal that could bypass domestic laws when it comes to ruling on investor-to-state disputes. This tribunal follows the trend of treaties subordinating the role of national legal systems in dispute resolutions. Thus, if an investor believes that a law, regulation, policy, or program in a foreign country has violated his or her rights—even if the foreign government implemented those laws for the welfare of its citizenry—the investor can sue the foreign government for compensation in an international tribunal. As B.S. Chimini argues, “it is not the greater internationalization of interpretation and enforcement of rules that is problematic but its differential meaning for, and impact on, third world states and people.” Over $350 million USD have been paid out by governments to corporations in these investor-state cases, such as the one between Renco and the Peru (detailed later), which attack anything from natural resource policy to health and safety measures. Because the TPP removes the host state of the foreign investors from litigation, investors would be capable of exploiting loopholes such as Most Favored Nation (MFN) status or utilizing the broad definition of indirect expropriation to pick advantageous standards and dispute settlement mechanisms. These investor-to-state negotiations will enable transnational corporations to reap profits from foreign citizens over policy in the countries where the corporations operate, even when no international state-to-state disputes exist. The intellectual property chapter appears to carry with it the most substantive changes to international law to be found in the entire TPP. A leaked text, available via House Oversight Committee Chairman Darrell Issa (R-Calif.), details a harsh copyright law, mirroring that of the United States, which has the potential to alter domestic laws throughout the region. This chapter, driven primarily by the U.S., if adopted in its current state, would enact the strongest intellectual property protection and enforcement standards in any FTA to date. The proposed document embraces the controversial Anti-Counterfeiting Trade Agreement (ACTA) and recalls the rejected Stop Online Piracy Act (SOPA), pushed by the powerful pharmaceutical and Hollywood-funded lobbying firms in Washington, by altering the ability to access information and vital resources for developing countries. The primary issues in the intellectual property chapter surround the extension of copyright, restriction of parallel importation, the enforcement of new laws, and the ramifications for such products as textbooks and medicine. The intellectual property chapter best exemplifies the maximalist stance Washington has taken in these negotiations, which contradicts the development agenda proposed in more transparent, multilateral agreements such as the 1994 WTO Trade Related Aspects of Intellectual Property Rights Agreement (TRIPS). In terms of copyright, the TPP will dramatically expand its minimum international standards in scope and length, many of which do not even reflect settled U.S. law. The treaty proposes to lengthen copyrights on published works; under the treaty they would expire 70 years after the death of the author or no less than 95 years from the first authorized publication. This would extend the length of copyright in a significant portion of signatory countries as well as annul the TRIPS standard of 50 years after death or 50 years after publication. Although this copyright period mirrors U.S. law, the U.S. law sets 70 years post-mortem as a ceiling, while the TPP denotes this as a minimum length. These extended laws go against economic rationality, as the government cannot incentivize the creation of work that already exists under copyright, thus it draws no additional economic benefits. Rather, the extended laws would cut supply in the creative goods sector, particularly in developing countries where the public domain plays an increasingly important role in information dissemination. The intellectual property chapter further enables the patent or copyright holder to block parallel importation of copyrighted works. Parallel importation is the practice of importing a legitimate copyrighted good, not an illegal reproduction, at lower prices than what is available domestically without the permission of the copyright holder. Many of the smaller TPP countries benefit from this practice because they lack the sufficient population or demand to attract a low market entry price. For example, with the TPP in effect, a school in Malaysia or Peru would be forced to purchase textbooks at higher domestic prices rather than contracting with a buyer who could purchase the textbooks at a lower price in a market such as the United States and then sell them to the school at the lower price. The restrictions on parallel imports remain unsettled or unenforced in every TPP signatory nation, including the United States. The current international laws surrounding this practice, denoted in TRIPS, leave countries free to adopt their own policies based on their domestic intellectual property laws. The final area of concern in the proposed intellectual property chapter is the enforcement aspect of copyright infringement. The U.S. has proposed a multi-faceted scheme for patent violations that allows for prosecution based upon pre-existing or statutory damages, a provision that appears in U.S. law, but not in that of any other signatory nation. This part of the TPP proposal takes the ability to punish infringers one step further by allowing for the prosecution of every infringer, rather than only willful ones. This provision encourages a rent-seeking behavior on patent filing and deters innovation, both of which could prevent advances beneficial to social and economic development. Many U.S. environmental groups, in particular the Sierra Club, have expressed both concerns and hopes over the potential ramifications of the TPP. U.S. negotiators have allegedly been pushing for stronger environmental regulations in the agreement, particularly regarding illegal logging, wildlife protection, and overfishing. But many other aspects of the TPP have the potential to damage the environment due to increased rights of corporations as well as the sweeping definition of investment. The TPP would likely allow for increased exports of liquid natural gas with fewer regulations. This would undoubtedly result in an increase in hydraulic fracturing, a process that results in substantial environmental degradation, in order to obtain more natural gas. Hydraulic fracking threatens the environment and human health through water and air contamination, the migration of poisonous gases and chemicals to the surface, and the mismanagement of hazardous waste. Moreover, the aforementioned investment chapter stipulates that under the TPP, corporations will have the ability to sue governments over any piece of legislation or regulation that they perceive as damaging to their future profits. Many worry that this will allow corporations to challenge domestic laws protecting the environment. Under the U.S.-Peru FTA, U.S. mining company Renco was able to sue the Peruvian government for $800 million USD in damages following the denial of their request for a third extension for their obligated chemical clean up. Under the TPP, lawsuits such as this one would likely become more common and would be resolved by foreign tribunals with rotating judges. The TPP may also allow for corporations to challenge “preferential” labeling because such stringent standards on labels could result in favoritism towards a certain country’s product, therefore violating the FTA. This provision could result in more cases like the WTO ruling that forbid the U.S. from labeling tuna fished in a manner that prevented harm to marine mammals as “dolphin safe,” because it “unfairly discriminated” against Mexican tuna that was not required to feature this label. In May 2007, due to concerns that FTAs were opening up the potential for multinational corporations to damage to the environment, Congress arrived at a bipartisan consensus that all future trade agreements would include enforceable environmental chapters. The TPP will undoubtedly include such a chapter. In FTAs with countries that are participating in the TPP, the U.S. already has shown some commitment to strengthened environmental standards. 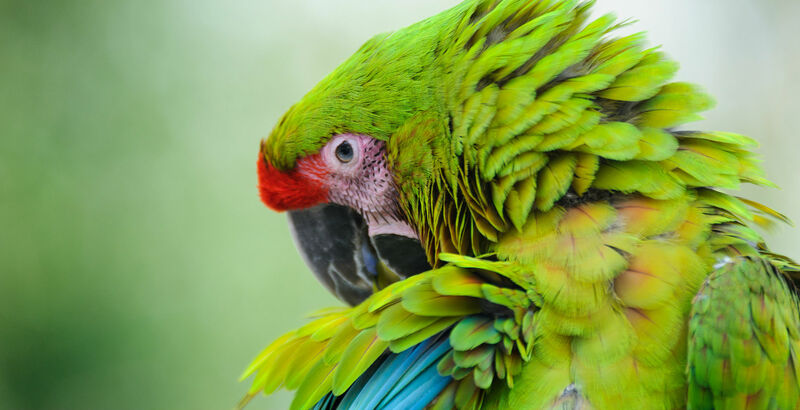 For instance, the U.S.-Peru FTA aimed to reduce illegal logging, a leading cause of deforestation. Although there is the potential to help the environment through free trade agreements such at the TPP, profits often outweigh environmental concerns. In recent years, Latin American and Asian markets have become increasingly intertwined through trade networks. In 1990, 60 percent of Latin America’s trade was with the U.S. and only 10 percent was with Asia while in 2012 those figures are markedly different. 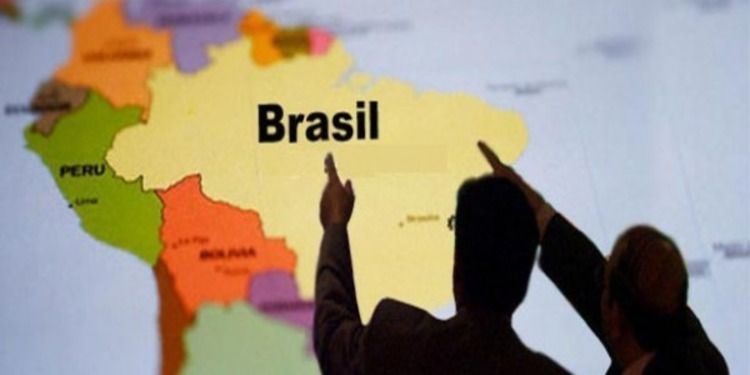 In recent years, East Asian economies have invested heavily in the greater Latin American region and as a result many Latin American countries are striving to gain greater political and economic connections to East Asia. The TPP would facilitate such connections, making the agreement important for Latin American countries. Nevertheless, with its explicit focus on the United States and Asia, Latin America is only approached by little better than proxy in this agreement, which as a result has negatively affected perceptions of the pact around the region. As of now, Chile, Peru, and Mexico are the only three Latin American countries currently in, or seeking membership in, the TPP. Chile, one of the original TPP members, already has enacted FTAs with a number of TPP countries including Australia, Mexico, the U.S., and Peru. Therefore, Santiago has recently expressed concern that it would receive minimal benefits from the TPP. Santiago takes issue with Washington’s strong stance on intellectual property issues, as current Chilean trade negotiator Ana Novik acknowledged, “We are not just negotiating with countries with high IP standards. This agreement needs to reflect that. We will not sign the TPP no matter what comes out of the process.” This change in attitude has worried TPP supporters because Chile was long considered a guaranteed signatory. However, many in Chile who still support the TPP believe that the agreement will provide the country with greater access to TPP markets in addition to providing a multinational enforcement authority. Chilean ambassador to the U.S. Arturo Fermandois claimed, “We needed to integrate [with] the world” and views the TPP as the best manner in which to do so. Under President Alan Garcia’s second term from 2006 to 2011, Peru pursued a variety of free trade agreements including ones with the U.S., Canada, Singapore and China. Due to these already forged connections in the TPP region, similar concerns over the dearth of potential trade benefits exist in Lima. But, Peruvian Ambassador to the U.S. Harold Forsythe has remained optimistic, stating, “Peru is the main door for entry into Latin America for economies in the Asia-Pacific,” and thus will benefit from increased trade and economic opportunities under the TPP. The TPP members welcomed Mexico into the talks in June, much to the joy of departing president Felipe Calderon. Calderon believed that, “[The TPP] is one of the free trade initiatives that’s most ambitious in the world and would foster integration of the Asia Pacific region, one of the regions with the greatest dynamism in the world.” But many in Mexico view the TPP as a modernization of NAFTA, whose significant contributions to economic growth were overshadowed by the havoc it wrecked on the livelihoods of farmers and other Mexican workers. Further, many in Mexico City have criticized the conditions of entrance for Mexico. Washington has encouraged Mexico to sign ACTA, an act with large-scale opposition in Mexico, and Mexico will have to accept any provisions already negotiated in the TPP because the negotiating table will not be reopened. But Mexico fears potential ramifications for not participating in the TPP, in terms of trade with the NAFTA region, investment by East Asian countries, as well as the benefits of potential future expansion to Japan, South Korea, and China, so Mexico City has appeared to accept the harsh conditions. With the Doha Round of the WTO stalled, many view the TPP as the next step toward opening up and regulating international trade. The TPP could serve as a pathway to the Free Trade Area of the Asia-Pacific (FTAAP), which would also include other Asian powers such as South Korea and China in addition to the TPP-12. The addition of further countries, particularly large economies such as Japan, South Korea, and China would greatly increase the impact and importance of the TPP. These three countries in particular have recently shown great interest in Latin America, with China investing $15 billion USD in 2010 in the region, mainly in Brazil, Peru, Chile, and Mexico. In 2011, Japan surpassed that investment figure, displacing China as the region’s top Asian investment and trade partner. Thus a possible TPP-12, or even TPP-14 with South Korea and China, would make the agreement much more attractive to Latin American countries. But significant obstacles will have to be addressed before any of these countries are able to join. Much to the excitement of the U.S., Japan signaled its interest in joining the TPP talks last November but has balked regarding its formal application due to opposition in Tokyo. Washington welcomes the possibility of Japan joining the TPP because it hopes that the removal of Japanese protectionist policies will shrink its $62.2 billion USD trade deficit with Japan. Concerns have risen over Japan’s highly protectionist agricultural sector as well as its auto industry. The rapidly aging Japanese farming population generally resides on small-scale farms and most farmers now receive a large portion of their income from nonagricultural sources. In terms of the staple of rice, Japan cannot compete with rice-producing bastions such as Vietnam, and instead resorts to absorbent tariffs that all but eliminate foreign supply of rice in the domestic Japanese market. The cost that Tokyo incurs from protecting this industry with tariffs exceeds the value of production. Thus, removing the protections on Japanese farms would undoubtedly destroy the industry in its current form, but could spur a rapid modernization of the Japanese agricultural sector. Similar controversy surrounds the auto industry, which uses import regulations to suppress the flow of American autos into the domestic market. 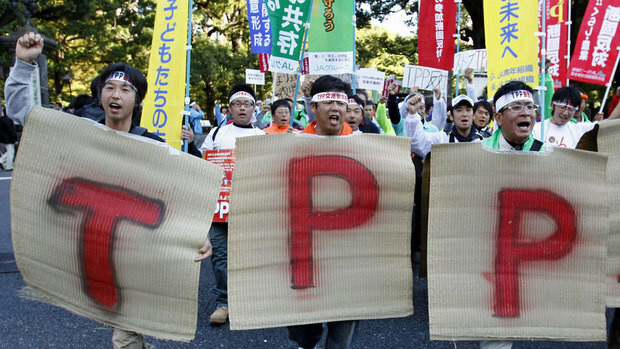 Many of the TPP-9 would like to see Japan admitted to help open up the economy to foreign products and services, ending this post-World War II era of protectionism. Although South Korea remains more focused on developing free trade agreements within Asia, Seoul has been contemplating the possibility of joining the TPP. Seoul feels that the recently signed KORUS FTA as well as FTAs with other TPP-9 countries has bought it enough time that it can sit out the initial rounds of negotiations. Thus, although Seoul currently is focusing on regional integration, as exemplified by the proposed Japan-China-Korea FTA and the recently opened China-Korea FTA, South Korea remains the most likely next step for future TPP expansion after the TPP-12. Beijing has viewed the TPP with significant suspicion, with some detractors considering it to be a cross-continental trade agreement that intentionally excludes China in order to check its economic growth. Similar to Seoul, Beijing has focused on regional integration and has pushed ASEAN to expand to ASEAN+3, which includes China, Japan, and Korea. Although no invitation is required to join the TPP and countries simply must meet its guidelines, China would most likely face difficulties achieving and maintaining those standards. Beijing’s policy of sustaining state run enterprises, the difficulties surrounding land purchase in China, the Chinese Central Bank’s intentional undervaluation of the currency, and various barriers to free trade all violate the principles of the TPP. Therefore, China’s addition would be seen as a massive asset, but one that would only be possible in the long term. 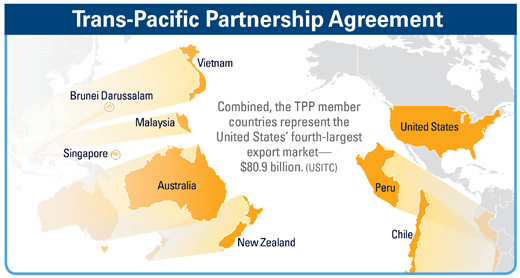 The Trans Pacific Partnership, which began as a modest trade pact between Singapore, New Zealand, and Chile, has the potential to alter existing global economic relationships. This so-called trade pact of the future covers far more than just trade, with chapters addressing modern topics such as an extension of investment past real property, intellectual property rights, and environmental standards among others. There is no question that the agreement would positively affect many signatory nations’ economies; however, many of the proposed regulations pushed by the U.S. would violate regional domestic laws while compromising national sovereignty. Most significantly, these regulations would contradict promises President Obama has made regarding trade negotiations and uphold the investor-to-state relationships that place the interests of big business ahead of those of the general citizenry. Although this trade pact addresses many facets of international economic relationships, negotiations suspiciously have been conducted behind closed doors. The incredible dearth of transparency does not adequately represent a 21st century agreement, but rather one of the Cold War era, shrouded in secrecy. The secrecy prevents both dialogue in the general public through academic and policy organizations alike as well as citizens from expressing their opinions to elected leaders. Importantly, without this greater transparency, it is difficult to ascertain many implications of the pact. As a centerpiece of President Obama’s pivot to Asia, which includes Latin America via the TPP, the trade pact sets a powerful, if not potentially dangerous, precedent for future trade agreements in the emerging region. But instead of encouraging sustainable economic trends and responsible transnational relations, the TPP could enact the same policies that have been proven detrimental in past smaller-scale agreements like NAFTA. The TPP rhetoric misrepresents the potential of free trade as it encourages, through greater international regulations, such as those seen in the intellectual property and investment chapters, the creation of domestic policies to manipulate the international market. Often, these actions strengthen the economically powerful, particularly by granting to the leadership the right to set its own nation’s course of action and implement its own visions, while those at the margins suffer. Thus, the TPP presents a troubling case of free trade being purchased at too great a price. Clinton, Hillary. “America’s Pacific Century.” Foreign Policy (November 2011). “The Trans-Pacific Partnership Leaders Statement.” The Office of the United States Trade Representative. 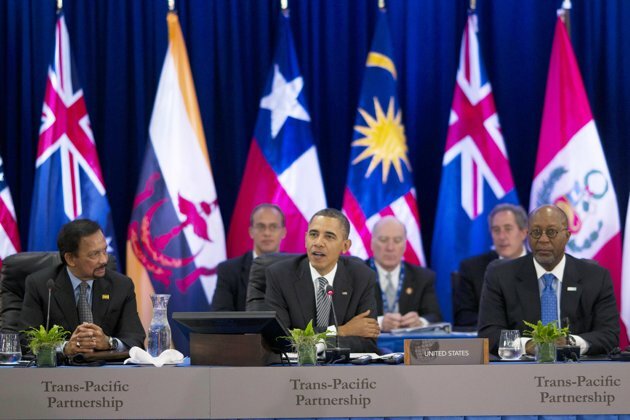 November 12, 2011. http://www.ustr.gov/about-us/press-office/press-releases/2011/november/trans-pacific-partnership-leaders-statement. Dawson, Laura. “Canada and the Trans-Pacific Partnership.” Speech, Wilson Center, Washington D.C., August 8, 2012. Obama, Barack. Speech at the November Asia-Pacific Economic Cooperation summit, Yokohama, Japan, 2011. Chimni, B.S. “Third World Approaches to International Law: A Manifesto.” International Community Law Review 8 (2006), pp. 3-27. Intellectual Property Chapter available at http://keepthewebopen.com/tpp. A special thank you to Professor Sean Flynn, Professorial Lecturer and Associate Director for the Program on Information Justice and Intellectual Property at the American University College of Law for his help on this subject. Flynn, Sean, Margot Kaminski, Brook Baker, and Jimmy Koo. “Public Interest Analysis of the US TPP Proposal for an IP Chapter.” Northeastern University School of Law Research Paper 82-2012 and American University WCL Research Paper 2012-07 (December 6, 2011). Agreement on Trade-­‐Related Aspects of Intellectual Property Rights, Art. 6, Apr. 15, 1994, Marrakesh Agreement Establishing the World Trade Organization, Annex 1C, Legal Instruments—Results of the Uruguay Round, 1869 U.N.T.S. 299 [hereinafter TRIPS]. 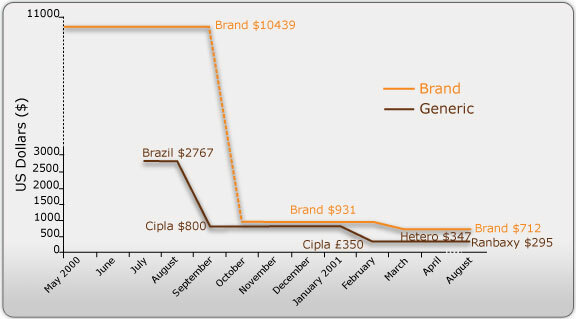 “Analysis: Renco Group Uses Trade Pact Foreign Investor Provisions to Chill Peru’s Environment and Health Policy, Undermine Justice.” Public Citizen Global Trade Watch, March 2012. http://www.citizen.org/documents/renco-memo-03-12.pdf. Sanchez, Luz Maria de la Mora. “Mexico and the Trans-Pacific Partnership.” Speech, Wilson Center, Washington D.C., August 8, 2012. 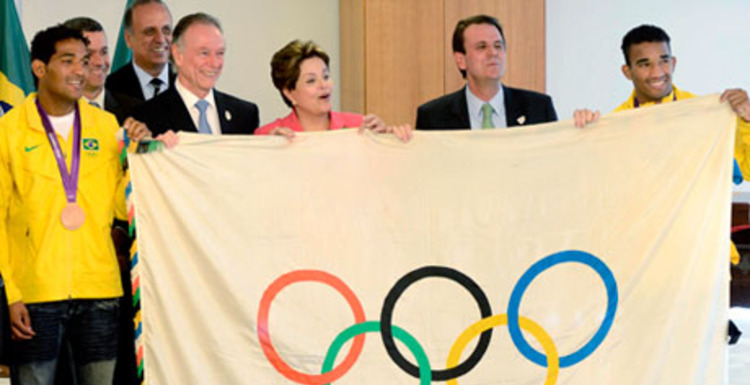 Infrastructure Without Foreign Investment: Can Brazil Afford Economic Growth?